Getting stopped and searched by police in Bangkok is nothing new. It first happened to me as soon as I set foot in Thailand in the early 1980s. I had just landed at the airport on a night flight from Singapore and I was in a taxi with my father, heading down Vibhavadi-Rangsit Road towards the Moh Chit bus station. Suddenly, I saw the bright flashing lights of a police car behind us, signalling for our taxi to pull over, and pull over we did, on the side of a major road in the middle of the night. This is the sort of opening scene that they make movies about. The cops went through all of our luggage, and they seemed to be looking for something very specific. Whatever it was, they didn’t find it on us, and they let us on our way, even offering us a polite apology. I’ve always suspected that they were waiting for a drug trafficker at the airport that night, and somehow, they ended up following the wrong taxi cab (yep, taxis look alike). Some friends have also suggested that they just wanted to bust us for something innocuous like being over the duty free level for alcohol or cigarettes. However, in our case that night, we were and they weren’t concerned about it. In the last few years, the reports online about foreigners being stopped in Bangkok and searched by police have increased significantly. The worst area is along Sukhumvit Road, between Soi 21 (Asoke Road) all the way down to Soi 33. 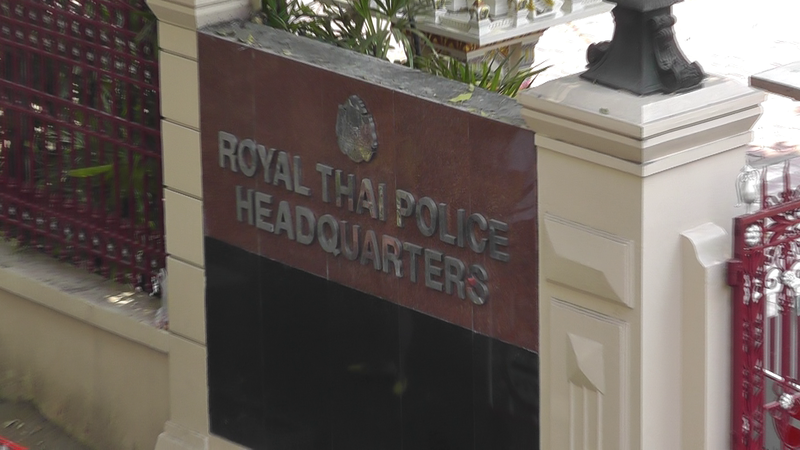 Some searches also take place on the opposite side of Sukhumvit, especially around Soi 22 and Ekamai Bus Station. Interestingly, Each side of Sukhumvit comes under the jurisdiction of different police stations. The odd-numbered side is patrolled by Thong Lor station, while the even-numbered side is patrolled by the Khlong Toey station. I blame the Khlong Toey police because years ago, it only seemed to be the area around Soi 22 and the Ekamai bus station where single Western guys would get stopped for a quick drug search (and yes, there is a bit of a drug problem in that area, with people heading down to Khlong Toey port to buy drugs). However, the Thong Lor police have now really gotten into the act, and they seem to be doing significantly more searches than their Khlong Toey brethren. They have even stepped it up a notch and sometimes make passers-by go into the petrol station toilets near Soi 23 in order to take a urine specimen which they then test for drugs. A lot of Westerners will read this and think, “this is unfair!” or “this is a breach of our rights”… well, Thailand has never really been a fair country to begin with. However, in the old days, the Thais had a lot more respect/awe/admiration/fear of Westerners and because there were fewer of us we were somewhat of a novelty. 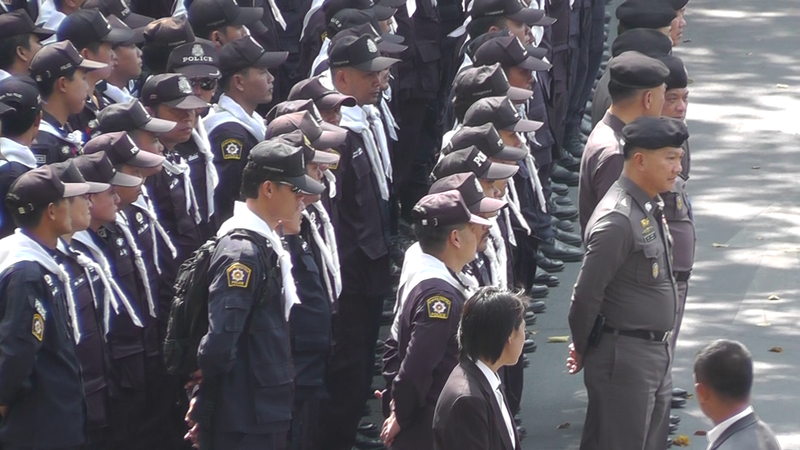 As a result, Thais (including most cops) tended to be very polite to Westerners. Obviously, if you got busted committing a real crime… well, off to the monkey house, but otherwise, the worst you might have to deal with is a 40 baht on the spot fine for breaking some minor traffic rules. These days, the Thai attitude towards foreigners has definitely changed. There have been too many “undesirable” foreigners who have hit the shores of Thailand, especially in tourist areas, and created very negative perceptions in Thai minds about us in general. A lot of those undesirables do commit crimes on Thai soil, get busted, make a lot of noise, but then get little help from their own embassy, and the Thais then believe that they can punish foreigners with little recourse from the foreigners’ home country. Most foreigners in Thailand (especially tourists) don’t have any significant alliances with Thais of influence either. Therefore, it is now fairly well known in Thailand that foreigners are “weak” and therefore easy targets. What Should You Do if Police Want to Search You? 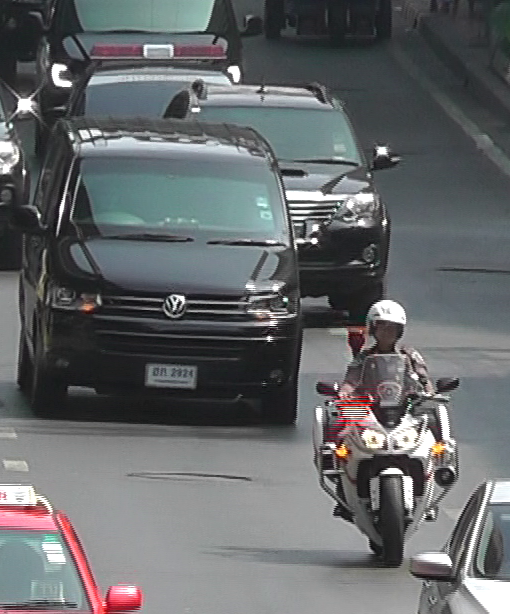 If you spend a lot of time in Sukhumvit, either on foot, or driving around the Asoke/Sukhumvit intersection via car or taxi, then sooner or later you will get stopped for a search. If you do get searched, my strongest recommendation is to at all times be very polite. Do not yell and do not become uncooperative. All you are doing is making the police officers lose face. Also, there’s no point trying to argue that the police do not have the right to stop you. They don’t care, and their argument will either be that you looked suspicious, or you matched the description of a known drug dealer, or they were doing random stops as permitted under anti-terrorism legislation. All you have done is made yourself more of a target and become more suspicious in their eyes. Interestingly, notwithstanding the above notice, there have been plenty of people being urine tested at petrol stations. Also, I have read reports of people being fined for only having a photocopy of their passport (http://bangkok.coconuts.co/2014/12/04/surge-reported-police-harassment-suggests-campaign-targeting-tourists-expats). However, I have personally witnessed others get away with just showing a photocopy or an alternative form of ID. If you are taken to the police station (eg for urine testing, or because you managed to piss off the police, or they found something), I would suggest this might be the time to call either your embassy or a lawyer for assistance. Once you have someone more official or influential involved, you become a more undesirable target and the police are more likely to want to get you out the door. However, if you made them lose face, expect some retribution, like a fine for something innocuous. If you have illegal drugs on you… well, even your embassy can’t rescue you now. It’s time to get yourself a good lawyer. I would still recommend being very polite to the police. However, don’t sign anything unless/until it has been approved by your lawyer. If you have illegal drugs in your system, and they entered your system while you were outside of Thailand (eg while you were living it up in Amsterdam), then no crime has been committed in Thailand, but you will need to explain this to the police, and I would immediately be on the phone to a lawyer to assist in this regard, because otherwise, you have made yourself vulnerable for either a shake-down where a large “donation” is called for, or else arrest and spending time in a cell. If you have prescription medication in your system (or on your person) then the best advice is to have a letter from your doctor confirming the prescription (and for certain medication, confirming it may give a false positive on a urine drug test). For prescription medication that you carry on you, in the least, keep it in the original box that has the prescription sticker on it. Don’t carry tablets just in their foil without the original packaging (or worse, loose tablets) as that only raises suspicion with the cops and increases your chances of getting taken back to the police station for further inquiry and testing. On the question of what is sufficient ID that you need to carry on you, the legal position does not seem that clear, which is perhaps why there is so much contradictory advice. One law firm even seems to suggest a lot of it comes down to the discretion of the individual police officer (http://www.sunbeltlegaladvisors.com/carrying-id-thai-law/). The safest option is to always carry your passport. I personally rarely have my passport on me, but I do carry a drivers’ license, a photocopy of my passport, and I will bring my passport with me if I travel away from Bangkok (eg to the beach). That way, the worst case scenario while I am in Bangkok is I need to call someone to go and fetch my passport from my condo. Hopefully, my suggestions better help you to understand how to react if you are stopped and searched. Unless you have done something wrong, it is nothing to panic about. Just remain polite, let the police carry out a search, and then go on your way. There are plenty of reports springing up on the internet about some rather scary searches that have occurred. Although I am not saying some of those reports are outright lies, I have never personally witnessed (nor heard from a reliable source) anything similar. Therefore, where things do go off the rails, it would seem to be a rare occurrence and I would have to ask whether there is any information (eg the way the person being searched was acting or behaving) that had been omitted from their online post. I still think the best advice is: don’t piss off the police in the first place. If you act rude, you make them lose face and you become a target.